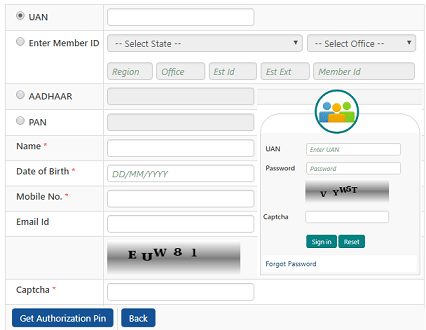 Universal Account Number UAN Login Procedure and UAN Activation Procedure in unifiedportal-mem.epfindia.gov.in….. The government of India created Employee Provident Fund Organization (EPFO) to keep track of all the employees’ details in the country. EPFO creates UAN slots for each employee. Universal Account number (UAN) is a unique number given to each employee contributing to Employee Provident Fund (EPF) to access their account online. Once you register with EPFO, a 12 digit number is allocated to you and it remains the same even if you switch job to a new institution. Once you switch your job, you can send your UAN number to the new employer requesting for a new ID (Identification number). Once the ID is allocated, it is linked to your UAN account. UAN number allows centralization of employee details across the country. It enables employeesto manage their transactions and get information on their withdrawals loans, savings and much more. To login to your UAN account, you must activate your UAN Login Account first. Ensure you have your UAN and the PF member ID with you. UAN login activation will allow you to access your own account as many times as you wish. EPFO login will only allow you to check your status from the member portal. Open EPFO homepage and click on ‘Our Services’. Navigate to ‘For Employees’ on the open dashboard. Click on the ‘Member UAN/Online Services’ on the screen. Once you click, you’re directed to UAN portal URL: https://unifiedportal-mem.epfindia.gov.in/. You will click on “Activate UAN”. On the newly opened window, fill the required details (UAN, mobile number, and your Member ID). Enter the characters displayed on the captcha and then press on the ‘Get Authorization pin’. This sends a one-time pin to your mobile device. Click on agree to terms at the disclaimer checkbox and on the open text box, enter the OTP number received in your mobile device. Then click Activation OTP and Validate UAN. Once you activate UAN, a password is sent to your mobile phone. The password will be used to access your UAN login activation account. You can now login to your UAN account by; Enter your universal account number, Enter your password, Enter the characters in the Captcha and Click Signin. Once you have signin into UAN login, you can change your password and any other setting you want to change in your profile. Navigate through your profile to add or edit nominees to your EPF account. To do this, click on edit nomination details from your profile dashboard. When you click on the tab, you will be re-directed to a nomination form. In the nomination form, the subscribers can add personal details, employment details, and any other important information. EPFO app was launched back in 2015 to improve the efficiency of the employees. Download the EPFO app and install it on your smartphone. Once installed, enter your universal account number and the registered mobile number. Click submit. Once you submit your details, a report displaying the account information of the individual is sent back to the phone. If you’re a new employee in his first job and don’t have any UAN number, then you need to register with EPFO. For you to login with your UAN number, you must be registered with the EPFO. You can easily know that you’re registered through your employer or going through the UAN portal using your own member ID. Most employers print employees UAN number in their payslip. If the number is not printed in your payslip then you can proceed to check in the UAN portal. Open the portal and click on UAN status tab. On the opened window, Fill all the text boxes and click ‘Get Authorization Pin’. Once you click, your UAN number will be sent to your mobile phone. You need to provide bank account details: This involves information to deal with your account number, bank IFSC code and the branch name of the bank. Identification card: Present any of the national identification cards like passport, your driving license, your Voters ID, SSLC Book and Aadhaar. You should present PAN card: Your PAN number can be linked later to your UAN. Submit Aadhaar card: Your card details will be linked to a mobile number.